Hello! 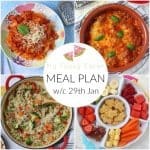 I hope you all had a successful meal planning week last week! I stuck to my plan 4 out of 5 days which isn’t too bad for me! This week I’m cooking lots of my old favourites and getting my trusty slow cooker out again. 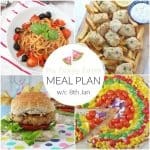 If you’d like some meal planning inspiration don’t forget to come join my Meal Planning Groupon Facebook. Here’s what I have planned out for dinner this week. Monday: Simple Tomato Spaghetti – This is one of my quick and easy go-to meals, super simple and the kids love it! I sometimes add some chopped frozen veggies too. Tuesday: Coconut & Tomato Chicken Curry – I’ve been making this curry for three years now and we’re still not sick of it! It’s mild enough for the kids to eat but still packed with flavour. I will serve it with rice and poppadoms. Wednesday: Roasted Tomato Soup with Cheese Toasties – If you think tomato soup is boring then this recipe will change your mind! It’s easy to make but so tasty and perfect served with cheese toasties for dipping! Thursday: Slow Cooker Beef & Broccoli – I love this no-fuss meal on busy days. I throw the ingredients into the slow cooker in the morning and in the evening all I have to do is steam some broccoli and cook some rice. Sometimes I even cheat and use microwave rice! So simple! Friday: Easy Sausage Ragu – I’ve made this easy ragu with sausage meat a few times now and the kids love it. I’m hoping to photograph it and get the recipe on the blog this week. Sunday: Roast Chicken – I’m craving a big family roast with lots of roast potatoes, veggies and gravy. Yum! Roasted tomato soup with cheese toasties is lovely. We had that last week! 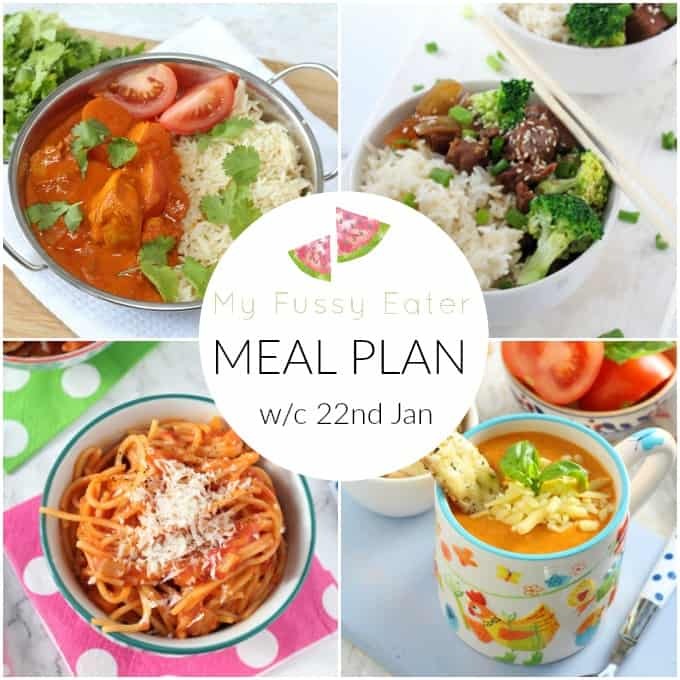 Well done for sticking to your meal plan! We are hoping for a more sucessful week this week as ours wasn’t very consistent last week!